Author adminPosted on April 12, 2018 April 12, 2018 Categories Criminal Justice Facilities ProjectLeave a comment on Did This Project Just Come Up?? 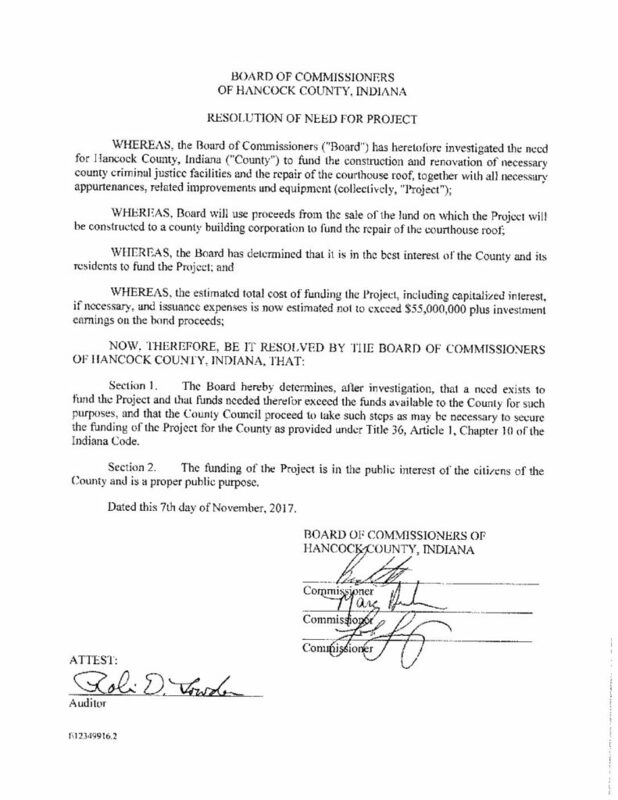 Here is the resolution that was passed after the statutorily required public meetings establishing the need for such a project and clearing the way for it to be placed on the ballot in the May Primary. This will take a few minutes to load up. It is a very large document full over 300 pages of data and information. A lot of constituents have asked what the per acre impact would be if the referendum passes…. If the entire project was financed with property tax it would be $2.50 per acre assessed at $1850 an acre. If it is financed with a 50/50 mix of property tax and income tax it would be $1.25 per acre. Click on link below for more information. Welcome!! Why is this blog being activated? Why am I starting this blog now? Hancock County is facing some major issues and has some major needs. We are about to start going to the polls within the week to either elect new leaders or re-elect leaders that are going to face these issues. Hopefully, they will face them head on and the years long habit of “kicking the can” down the road will finally come to an end. Put out as much information as is possible to help you the voter make informed decisions. Accept your questions and comments about issues facing our county and do my very best to answer those questions and comments truthfully, fairly and unbiased. 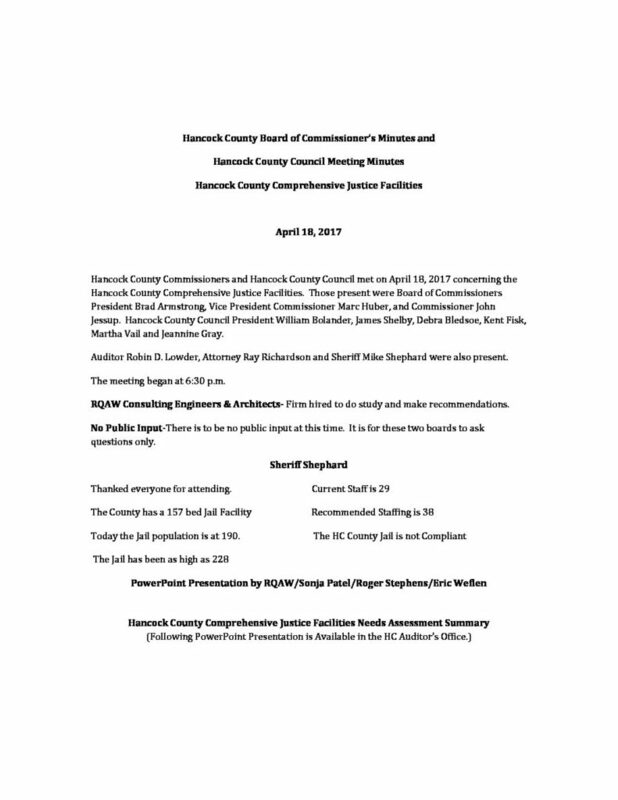 Provide access to documents that give you the voter, in black and white, the information you need to make your own informed decision about referendum question on the May ballot, the Criminal Justice Facilities Project, meeting minutes, and all other pertinent information regarding your county government. 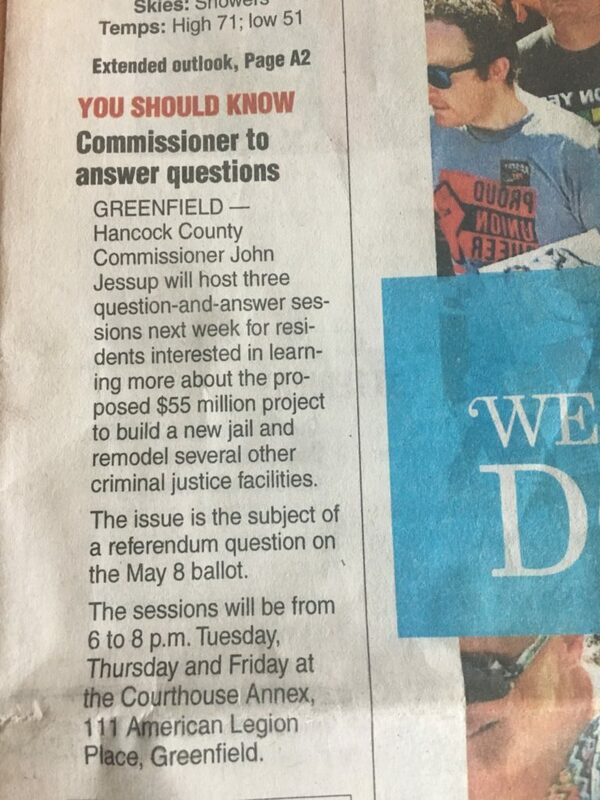 I will do my best to bring clarity to unfounded claims, stats and false facts being thrown around by various campaigns and interested persons that have greatly confused the entire discussion around the Project and its impact to the citizens and taxpayers of Hancock County. I will do my best to remain very clear whether information that is presented here is FACT or my OPINION or the OPINION of another. I will not engage in the impugning of any individual’s character or motivations while discussing issues our county faces. All my posts will keep in mind that in my opinion all persons currently holding office or seeking office love and value our community and have the best intentions for the people of Hancock County. While I find myself in disagreement with a number of those individuals about how we solve problems, I do not and will not question their integrity. I will not give false facts nor will mislead you with half truths or opinions that cannot be backed up with sound reasoning. I will update and populate this site as quickly as possible in the interest of helping you be informed. Help me out…PLEASE. Have a question? Something that needs clarified? Comments? Please email me at john@hancockcounty.in and I will do my best to address your concerns here. Please note in your email as to whether you would prefer your name be included or omitted in my response. Author adminPosted on April 7, 2018 Categories UncategorizedLeave a comment on Welcome!! Why is this blog being activated?